China's anti-corruption campaign has humbled multinational corporations, taken down senior officials and put brothels out of business. Now the focus of President Xi Jinping's campaign may have turned to wealthy Chinese trying to move their riches abroad. State broadcaster CCTV has accused Bank of China of conducting money laundering operations to help wealthy Chinese skirt controls on how much cash can be taken out of the country. The bank, CCTV said this week, has bent over backwards to accommodate requests to move funds abroad, often before a customer decides to emigrate. The spat between two arms of the state is unusual. CCTV has taken foreign automakers, and even Starbucks, to task but rarely has it publicly accused another state institution of wrongdoing. Bank of China has denied the allegations. The accusations come just days after a senior member of the Communist Party spoke out against party members who send their families and wealth abroad. These "naked officials," as they are known in China, have long been able to launder money without attracting too much attention. They have been joined by thousands of wealthy citizens who want to move money out of China. The flow of cash is taking place in spite of Beijing's rules that limit the amount of money an individual can move out of China to $50,000 per year. CCTV claimed that Bank of China's actions are helping to fuel a wave of Chinese emigration to destinations including the United States, Australia and Canada. Almost two-thirds of Chinese with more than 10 million yuan ($1.6 million) in the bank have emigrated, or are planning to, according to research firm Hurun. A move abroad isn't cheap. After all, immigrants need money to pay school fees, buy property and establish a new life. The National Association of Realtors reported Tuesday that Chinese property purchases were up more than 70% last year to $22 billion -- or nearly 1 dollar in every 4 spent by foreign buyers. Bank of China isn't the only game in town for would-be emigrants. Wealthy Chinese have also been buying fine art and other assets to move funds out of the country. Macau's casinos, which are now seven times the size of Las Vegas, are another popular option for money laundering. Some analysts believe Xi's anti-corruption drive is more about consolidating Communist Party power than a genuine attempt to clean up the system. But the latest moves could spur rich Chinese to think twice before booking that ticket abroad. 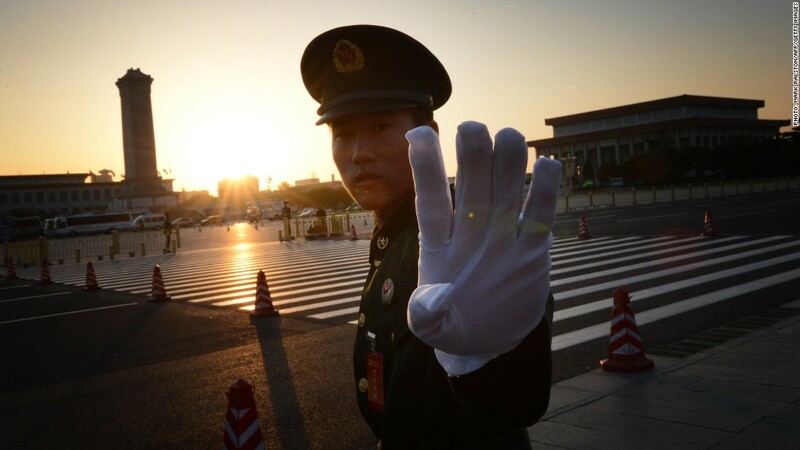 -- Wei Hongxia and Shen Lu contributed reporting from Beijing.